Late in the afternoon, I watch the shadows. They move and grow with the angle of the sun. A shadow, flung out across the ground or a wall, is not such a flat thing after all. The shadow of this railing bends back and forth, clinging to the steps. Distorted, it still retains the smooth spirals of its iron source. 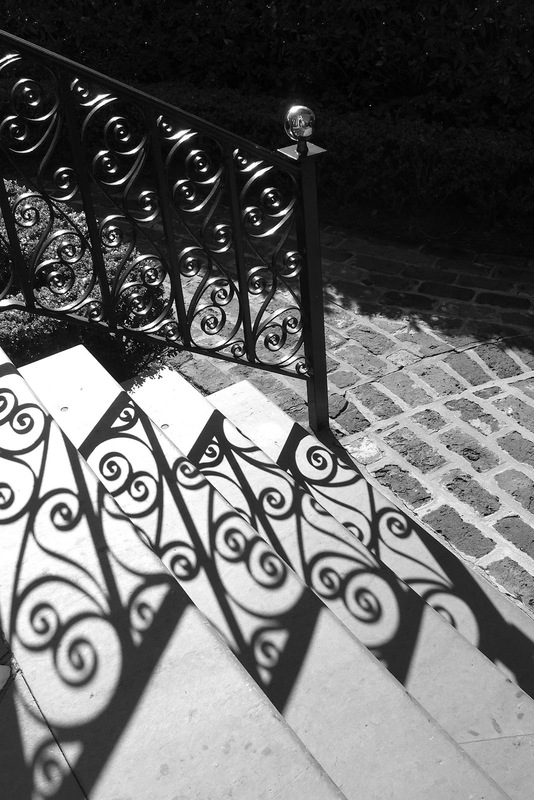 While the railing is a beautiful piece of ironwork, the zigzagging shadow of the railing is far more intriguing.